Camarasaurus was a large sauropod dinosaur, growing up to 75 feet long. It lived during the Late Jurassic Period, 150 million years ago, and is known to have tussled with the predatory Allosaurus. 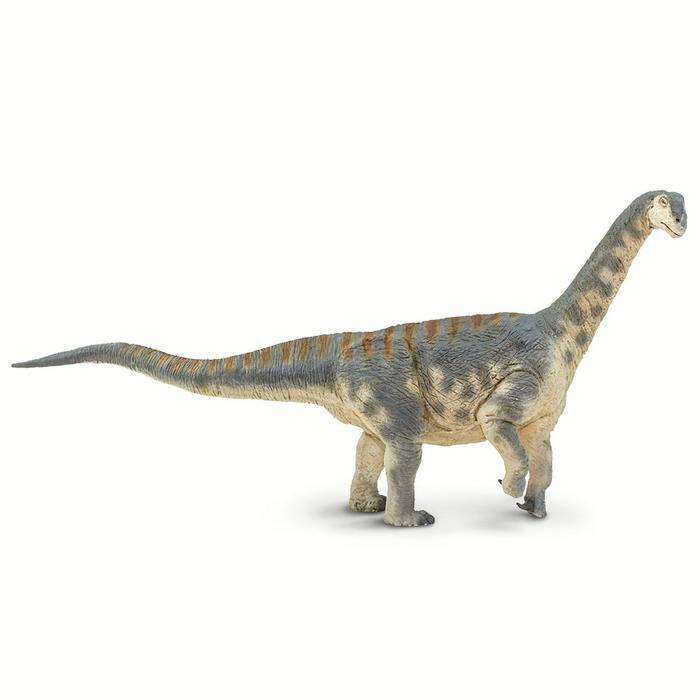 Characteristics: This hand-painted figure features accurate details of Camarasaurus’s distinctive features, including its blunt, squarish head and relatively short neck (for a sauropod). Size and Color: : This Camarasaurus figure is 13 ½ inches and 6 ¼ inches tall, slightly longer than a standard American ruler and a bit taller than a can of soda. Its main coloration is gray above and cream below, with cream markings on its face and brown striping along its back and tail. Its eyes are yellow-orange. Categories: Dinosaur Collections, New Dinosaur Releases, Wild Safari. Tags: 2019, camarasaurus, safari, wild safari.